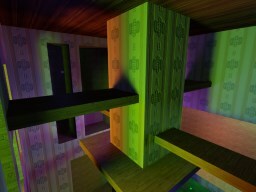 Yes, a real game engine wouldn't want to do global lightmaps for the entire level with all lights everywhere. For say a typical indoor shooter, you could just subdivide it into chunks, such as a room. But yes, even with a decent subdivision strategy, you will still consume a factor X greater amount of memory than an old-school lightmap. In the best case, X would approach something like the average number of lights hitting an average texel, but likely a bit higher than that. On the other hand, this technique only stores a single 8-bit channel, which could easily compress to BC4. And compared to some recent lightmapping techniques where they store SH or SG coefficients, the storage for this in a typical application would probably be less than that. But with that said, I don't think this technique is for every game, but it could certainly be useful for some.